Successful business leaders. 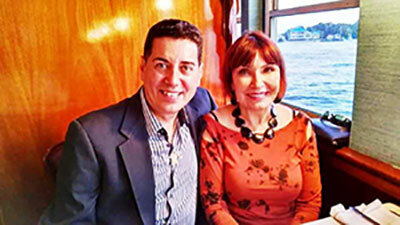 Co-Franchisee/Owner-Directors Michelle and Emilio Garced have been partners in life and in business for nearly 40 years, nurturing thousands of dancers and developing hundreds of performing arts professionals. Our Dance Centers’ longevity honors critical success factors established by Kathryn and Arthur Murray over a century ago: exceptional customer service, unparalleled training techniques, and expert management. Thoughtful instructors. Our success relies as much on our students’ appreciation of the artistry and sport of dancing as it does on their discovering the powerful life skills and global benefits that result when they learn to dance. Our internationally certified instructors teach today’s most popular partner dance styles, shaping good, comfortable, versatile social dancers, local performers, and even competitive athletes. We’re not just any group of dancers, we’re a dance family! From our support staff to our teaching faculty, incredibly talented administrators, artists, and athletes who passionately, personally take to heart the amazing journey of every dance student and team member. Our achievements are a privilege we never take for granted. While the dance world has grown over time to reflect both traditional and modern sensibilities, we keep the love of the art form and the dancers we develop at the core of our heart-focus and profession. Remember, at Arthur Murray Dance Centers Central New Jersey, you may Walk In, but you’ll Dance Out!